Jump on It July: Oh, What a Wonderful Life! The hissing of the grill, the splashing of the pool, the laughter of the kids playing tag—it’s officially barbeque season, folks! And that means it’s time to sit back, relax, and enjoy some of the most wonderful moments of life. And, lucky for you, the July Stamp of the Month was designed to celebrate these exact moments! You know, the kind of moments where you realize just how wonderful your life truly is. 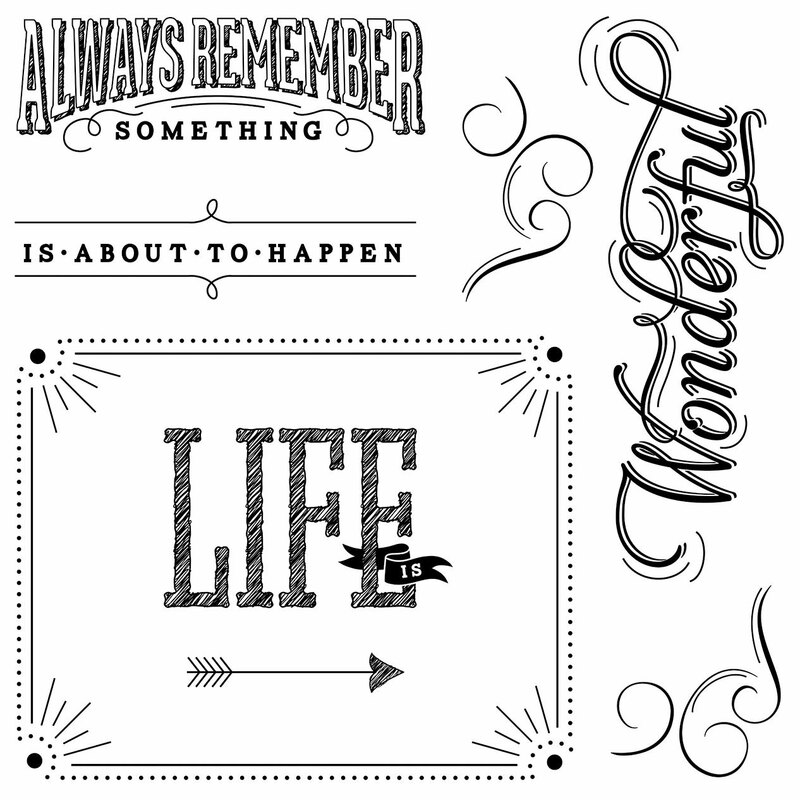 This stamp set, which is aptly named Life Is Wonderful, captures the optimism we all aspire to have toward life, the kind of optimism where you reflect on yesterday, appreciate today, and look forward to tomorrow. For this month only, to help you celebrate life even more, you can get this stamp set for FREE with a qualifying purchase in current, retail priced stamps. How’s that for a silver lining? Our favorite part of this stamp set is probably the shabby chic style of the lettering that evokes feelings of home and the “good ol’ days.” We absolutely love the chalkboard-like effect the stamps in this set create when they are used on black paper. 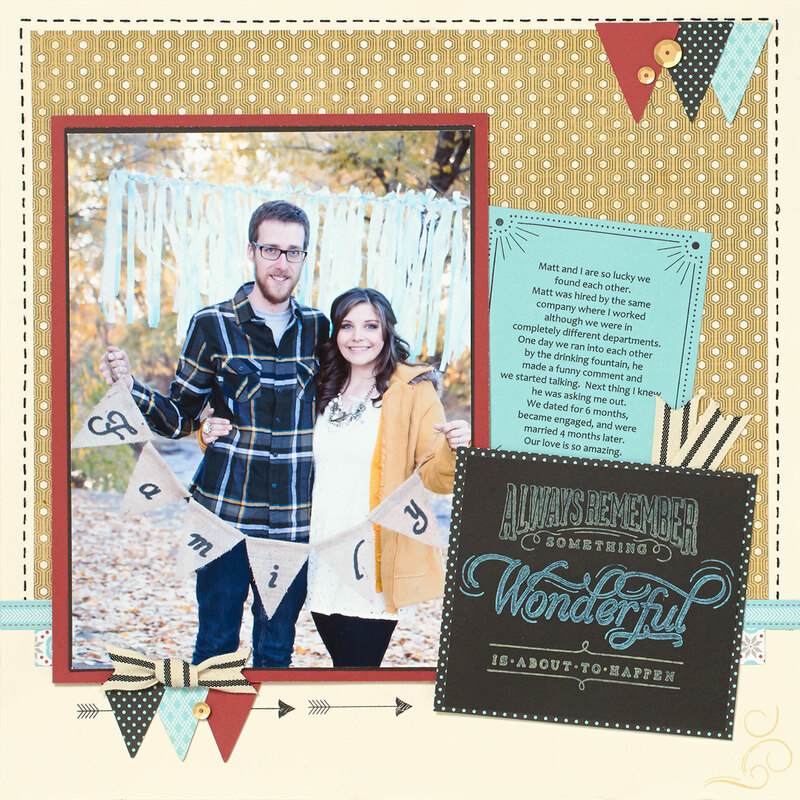 How adorable do they look on this sweet couple’s scrapbook page? As an added bonus, this set is ultra compatible with all of your other stamp sets, making it ideal for creating just the right proverb to capture your family’s precious moments.